True confidence is absense of fear in all situations. Self-confidence is all about believing we are better than others in some way. One person has a better body, another is a star at some sport, gifted in musical abilities, more educated or has more money than most people. So we cling to our strengths as our identity. Whatever the particular strength, we then convince ourselves that this is the area of life that matters—this is what we are interested in and, of course, this particular thing is superior to all other traits or interests. Others simply don’t get it! So the hot girl in the room—while she may only be 19 years old, has little life experience, no money of her own, no accomplishments or even personal freedom—quietly convinces herself that she is superior than the 50 year old woman who has raised 3 kids, accomplished so much, lost so much, been through it all (even being the hot 19 year old once upon a time). How silly, fragile and temporary is the young girl’s sense of self-confidence. Similarly, the guy with the biggest muscles in town may have a lot of self-confidence from that, but if he finds himself in the company of a group of intellectuals, he may feel stupid and it may erode very quickly. So he keeps to the familiar—tragically limiting his potential. Total confidence involves no concept of “self”. “Self” is of the ego—based in physical form. It is derived from differences—from the external. It is an illusion that inevitably crumbles and leads to suffering. True confidence is the absence of fear in all situations. Spiritual or religious people call it faith. I would add that it is the ability to move through the world without letting the external touch you. Confidence is becoming aware that you are eternal consciousness and not physical form. We continue tomorrow and each day after that. Follow any illusion to its extreme and the result can only be war. War is, of course, destruction. Illusion will always be challenged with a different illusion—leading to a futile battle about which is right. When the war is over, the answer will always be neither. Peace can only be found in truth. Here there can be no conflict because there is nothing that needs defense. Only that which is beyond debate is true. Love—our core need for love within—is beyond debate. Consciousness is beyond debate. We are alive. We observe. I am. In truth, we are all the same in oneness. When we lay aside all illusion, we extend peace. We become love. How do we know what is illusion and what is real? Anything we feel compelled to debate or defend—that’s illusion. We let this stuff go to dwell in truth. And if your truth is loving—expressed in a sensitive way with compassion and understanding—your relationships will live forever. This requires a daily practice to undo the violent communication patterns which are so normal in this world. One day not too long ago, there was a man who believed that, by protecting his wife from his truths, he was protecting her from pain. But, time and time again, the truth would surface (as it always does) and rip away all trust between them. Their pain—the undoing of their perfect love—was excruciating. Through this experience, the wife learned that her husband’s truths were terrible. More and more, she resisted his truths and became convinced that he was an evil person. They had become strangers—sinking ever more deeply into untruth and painful isolation. If he had found a way to speak with her truthfully and with compassion from the very beginning, and if she had found a way to open her heart and mind in return, theirs would have been a relationship so blissful as to transcend the suffering of this world. But errors can be corrected. These are mistakes we shall no longer repeat. The lessons have been learned and the relationships of this world are being quietly transformed. We continue tomorrow and each day after that. Actions never bring the intended results. Imagine you are looking at a pendulum in its natural, resting position—hanging straight down in accordance with the force of gravity. Let’s say you decide that it should be moved to the right, so you pull it. Now what happens when you let go? It swings directly to the opposite direction, goes back and forth for a while, then ultimately settles right back into its natural position. The same is true in everything we do. Our attempts to change people, or to change the world, will only bring about wild swings and meaningless dramas until everything ultimately settles right back to the natural position. When governments pass laws to change our behavior, the people rebel by doing the opposite. The same is true when we try to change our partners, our friends, or children. Wars are won and wars are lost—but, given enough time, everything always returns to its natural resting position. Even well-intentioned attempts to control nature bring chaos and destruction—but, given enough time, nature will effortlessly establish an equilibrium (whether humans ultimately remain to witness this or not). Splash the water, create the waves, then watch the waves settle. The Tao Te Ching teaches us not only about God—the unmanifested from which all things are born and to which all things return—it also teaches us about harmony and balance. Wisdom means letting things be, accepting what is, because we know that it is not possible for us to change anything anyway. We may seem to have the power to move the pendulum to one side, but it will only stay there if we continue holding it. At some point, we must let go. When we do, the universe reminds us that we possess no true power outside of nature’s perfect balance. We continue tomorrow and each day after that. Tags: tao te ching, Taoism explained, Taoist explanation, what is Taoism?, what is the Taoist philosophy? In happiness, there is no cause and effect—there is only the question of love or not love. True understanding is impossible without love. Understanding flows from the decision to offer perfect love as our default thought system. When we are not committed to perfect love, we fail to listen without judgment. When we fail to listen, we fail to understand. Without understanding, there is no openness because there is no unconditional acceptance. Without love, there is no possibility for forgiveness. No true relationships. No helping each other to heal. No end to end our suffering. This is why A Course in Miracles teaches, “Sin is where love is not.” When we fail to love, we miss the mark. Thankfully, we have established a daily spiritual practice to undo ego and unblock our perfect love within. We continue tomorrow and each day after that. This is my 365th daily post. After a year of trying my best to pass on spiritual truths which have transformed my life, it occurs to me that there is something very important that has been missing. I haven’t always deeply listened to you. The problem with social media is that there is no way to engage, one-to-one, in the act of listening. What I crave deeply, even more than writing and talking (if you can believe that), is to sit with you for hours, deeply engaged, just listening. Other than face-to-face in the real world or video calling, today’s technology makes no space for that. Everybody is talking and nobody is sure whether anybody is listening. Likes are nice feedback, but in a way this is just another form of judgment (I like this but don’t agree with that). Rather than finding a way to be popular, I wish there were a way just to listen to each other without any judgment, evaluation, correction or mind-based feedback at all. We all want to feel heard and understood. This simple need is severely lacking in this world. I do read your posts, just as I know you read mine. I cherish those few comments and interactions. If you could only see the expression on my face, you would know I am listening to you. But it occurs to me that you can’t see that. Nor can I in return. Perhaps, after I had the chance to listen to you for a half hour, I might be able to offer some loving communication. More likely, just the act of listening would help. What is real to you is real. Your hopes, dreams, cravings, desires, frustrations, pains—whether “spiritually correct” or not—it is real. We will continue tomorrow and each day after that, and I hope we might find a way not just to project but to also listen to each other lovingly and without judgment. What a world that would be. If you have any thoughts on this, I am listening. What is the economy but an external projection of all the ways we try to escape suffering? While media occupies our minds, the pharmaceuticals and other substances numb us. Then there’s the shopping and the restaurants. Let’s not forget about the real estate projects, the tourism, the psychiatry, the religion and so much more—all attempts to alleviate suffering through external form. But nothing external provides any true or lasting relief to the suffering—only enjoyable, temporary distractions at best (but never quite the cure). The problem is that these distractions are...well, distractions. Suffering is experienced within, and so the cure must also arise from our inner dimension. When we feel uneasy, lousy, fearful or frustrated, we must be brave enough to just be with ourselves and to fully feel it. Fully-present, we can then observe the link between our thoughts and emotions, or between our habits and our health. Challenges will always arise from the external world, but the solutions will always arise from within. Authentic spirituality guides us more deeply within, to the source of the cure, to an awakening of love that flows from consciousness within. From the source within, we can enjoy life and we can become the solution. Until we learn to truly communicate, there is no relief from loneliness. No amount of social interaction and no new forms of technology make any difference. We can meetup, hangout, interact online, post and like all day long—and yet still something within feels empty, isolated and alone. This is just how the ego likes it. Separation is the foundation of the ego’s belief system and a necessary requirement for keeping the ego firmly in-tact. The unease of loneliness drives us to look to the future for gratification and to hold onto grievances from the past. We hate ourselves for our inability to fit-in, we blame others by judging and labeling them as somehow wrong—all because the ego is not our friend. This disease depends upon our misery for its very survival. But if we might only surrender to the bliss of union, true intimacy, unconditional love with no boundaries in our communication or anywhere else—in this state of nirvana we forget about the past, could care less about the future, and see no flaws in ourselves or in our soulmates. In true union, we become egoless. Blissful union will remain elusive—almost a once-in-a-lifetime type of experience for most people—until the consciousness revolution arrives and undoes this parasite, this anti-Christ that has overtaken humanity in just the course of a few thousand years. The good news is that, until then, the Kingdom of Heaven is always available to any two people who simply choose it. It is utterly remarkable to me…incomprehensible that this is so rare. You are beyond the stories, illusions, and dreams of the mind. So what, right? This sounds unexciting and not quite true to the ego. Why? Because the ego hinges on the very belief that the mind is what you are. Teaching the opposite is highly unpopular because it offends the ego and even threatens its dominance over you. So, the mind tells you to move on to other things—anything that teaches nothing, asks nothing of you, and makes no attempt at truth will do. I understand. I am aware that this is how it goes. These teachings are highly unpopular, which confirms only that they are rooted in truth. Today’s world is completely ego-driven—so what is popular in this world is what is popular to the ego. Just one problem: the ego, and our unexamined adherence to its insanity, is the root of all problems in this world. Make truth popular and it becomes a religion. Get the experts to agree and it becomes a business. But I’ll stick to truth, even if it is unanimously unpopular. We continue to awaken to the dimension beyond ego tomorrow and each day after that. Bring consciousness to the inner-body. When we shift our awareness away from the mind and toward the inner-body, extraordinary physical changes occur. The immune system becomes strong enough to prevent illness. The aging process dramatically slows. We feel good, look good, and our bodies function optimally even into old age. The normal process of aging, on the other hand, is to slowly become physically ill, overweight, old in appearance and grumpy. This is where the ego would lead you—no matter it’s false promises of future salvation. The normal functioning of the ego will slowly destroy you by overwhelming you with fear and conflict. With age, the unobserved mind becomes increasingly tortured. While we are young, this isn’t much of a problem. But, in time, every normal person eventually succumbs to the damage done by the ego and must recognize the empty promises. The ego generates so many tortured thoughts that are never released and are, instead, fed into the body to create negative emotions. Those negative emotions are then fed back into the mind, creating a negative feedback loop. Meanwhile, the ego continues to reach to the future for salvation, but of course this is impossible and so the destination never arrives. This is the normal path to old age and misery—a state which is easily preventable with an open mind. The ego, of course, finds these words offensive and ridiculous. It demands proof. 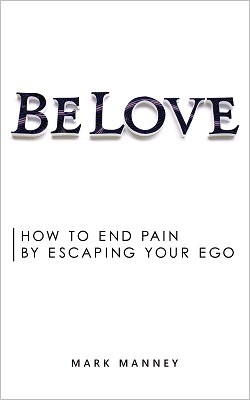 I, on the other hand, demand proof that the ego offers anything of value…that fear is anything but insanity…that any form of attack has ever resulted in love, peace, health, happiness, youthfulness, bliss or anything we most deeply desire. There is superior way—the path of true wisdom. Simply decide to undo the ego and instantly undo unnecessary suffering. If you need evidence, try it for yourself. We continue tomorrow and each day after that.